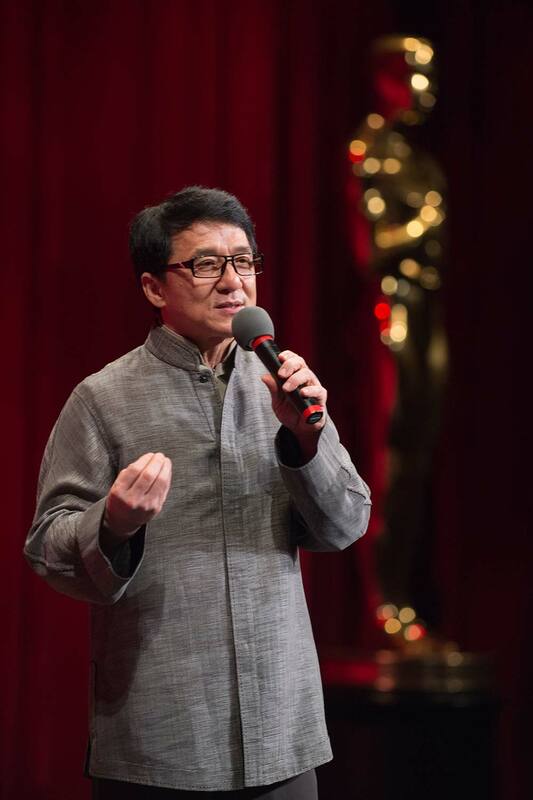 “Every movie I make, I have to risk my life to make it better.” That statement could only have come from Jackie Chan, the legendary Hong Kong star who has not only acted and directed in some of the finest action films ever made but also choreographed and performed all of his stunts on film. 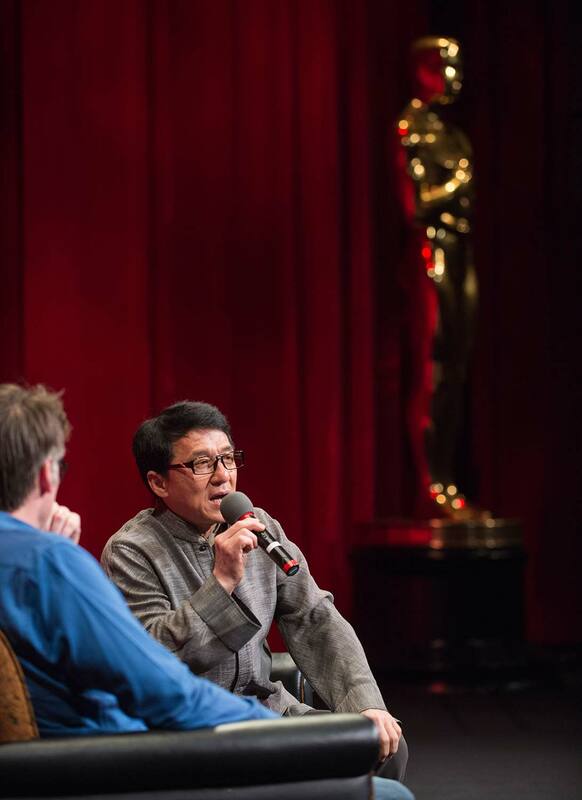 On June 3, 2013, the Academy saluted Chan with a rare American public appearance for a packed house at the Samuel Goldwyn Theater. 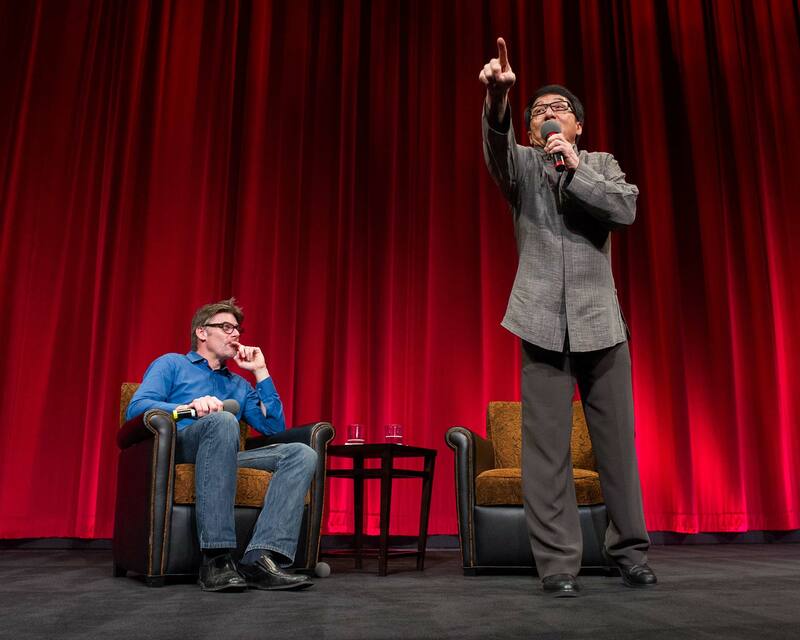 After a delighted introduction from the Academy’s Ellen Harrington, the audience gave a huge standing ovation to Jackie when he was welcomed to the stage by the evening’s host, Entertainment Weekly’s Geoff Boucher. 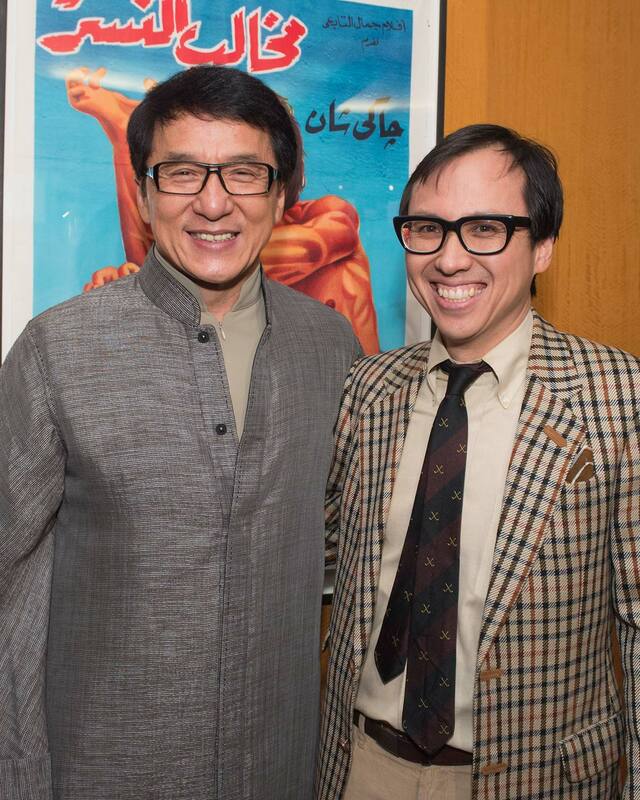 Jackie explained how his most recent film, “Chinese Zodiac” (2012), took six years to write and a year and a half to make (“So if you download, it really hurts me!”). 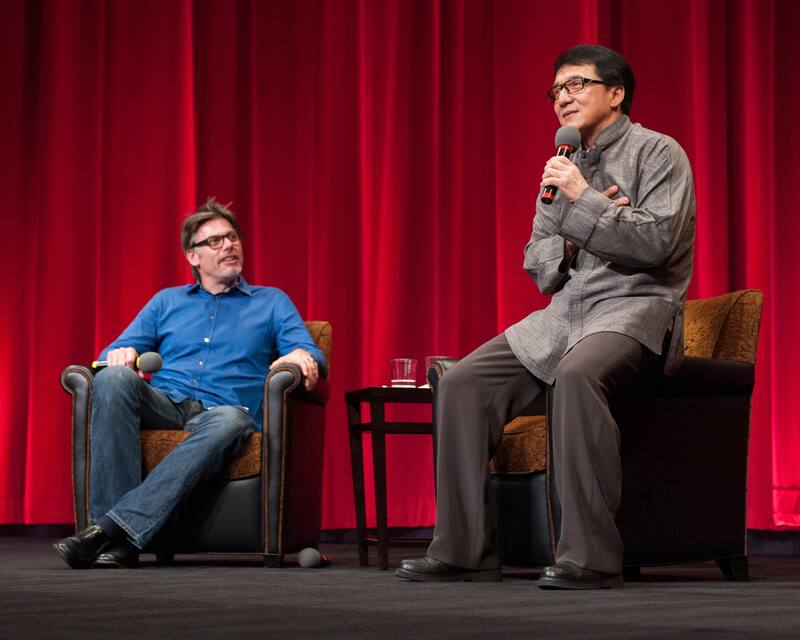 He also shared stories about the early days of his career when he had a bit part in “Enter the Dragon” (1973) opposite Bruce Lee, who struck Jackie with a stick during a fight scene and ran over to check on him. 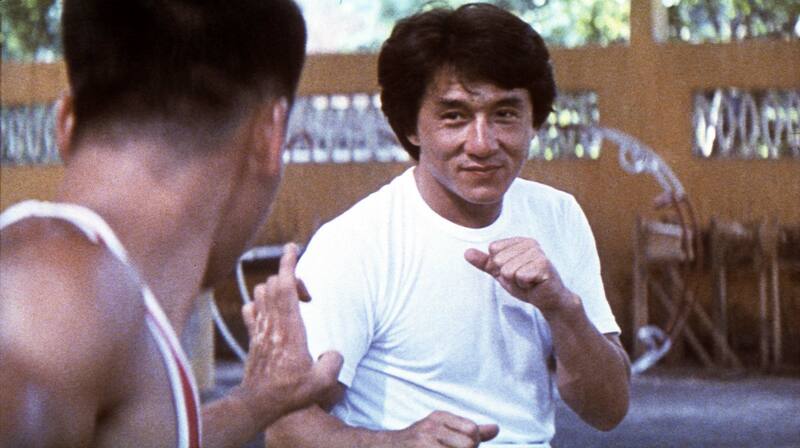 The two became friends (with Jackie humorously playing up his injury), and after the star’s death, Jackie was one of the many Hong Kong stars who were pushed as the next big martial arts star. 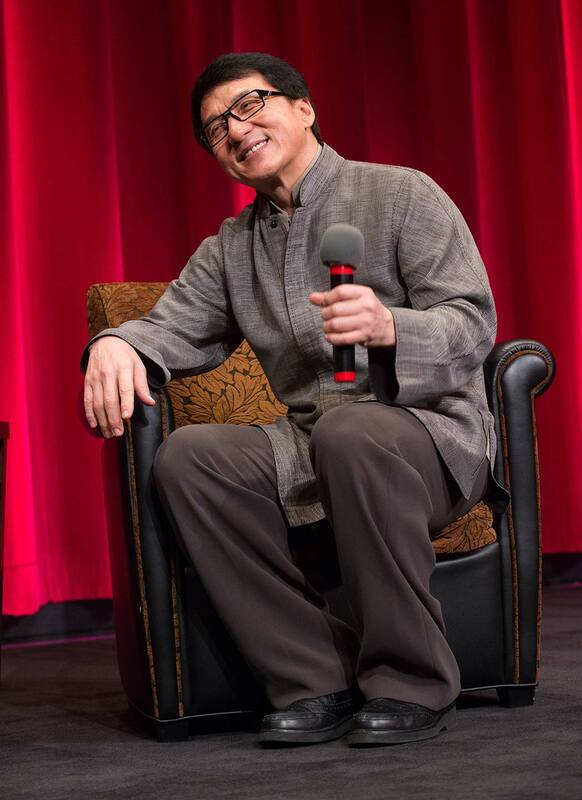 The demand of Bruce Lee’s fighting style was insatiable with imitators like “Bruce Li, Bruce Table, Bruce Chair,” as Jackie called them, but he had to spend years developing his own style. 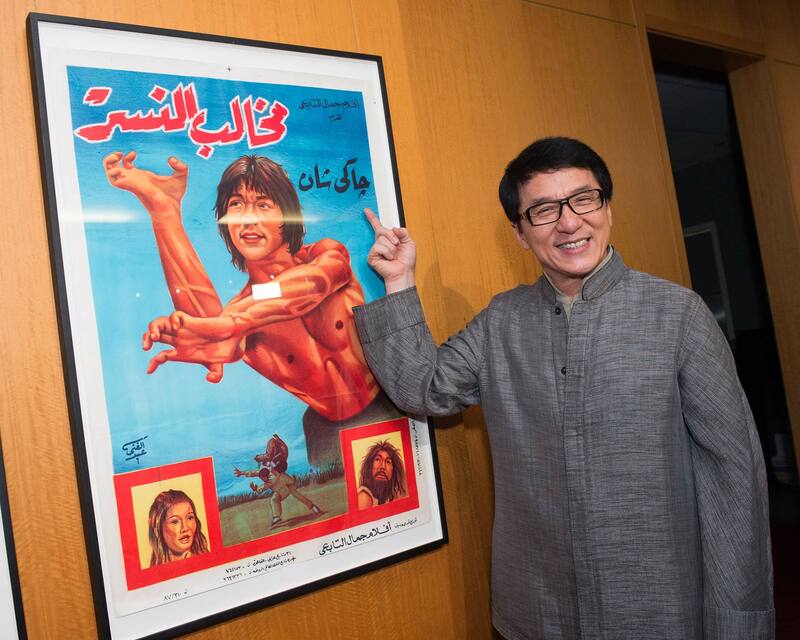 The result was his first big breakthrough film, “Snake in the Eagle’s Shadow” (1978), was quickly followed by other successes like “Drunken Master” the same year and “The Big Brawl” in 1980. 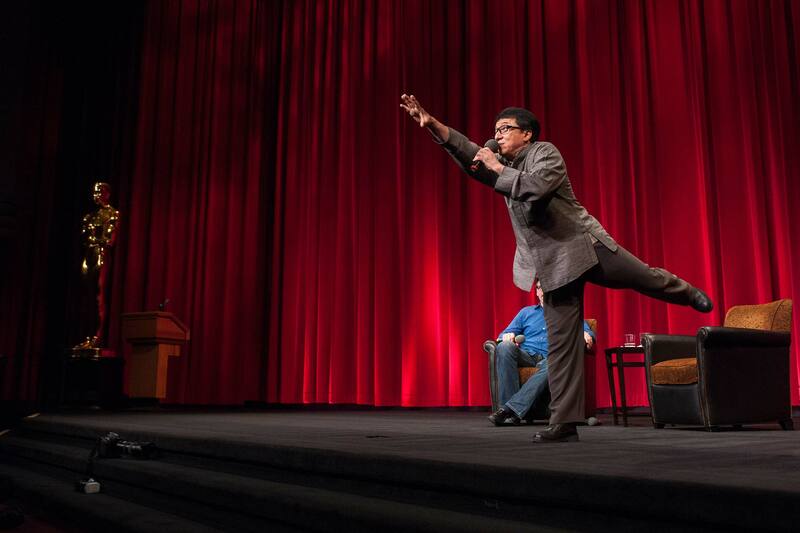 Jackie always did his stunts partly out of necessity, as lavish special effects budgets were completely out of reach. Those early films were made for a budget of around $150,000, with Jackie getting a $9,000 salary he had to split with his production company. 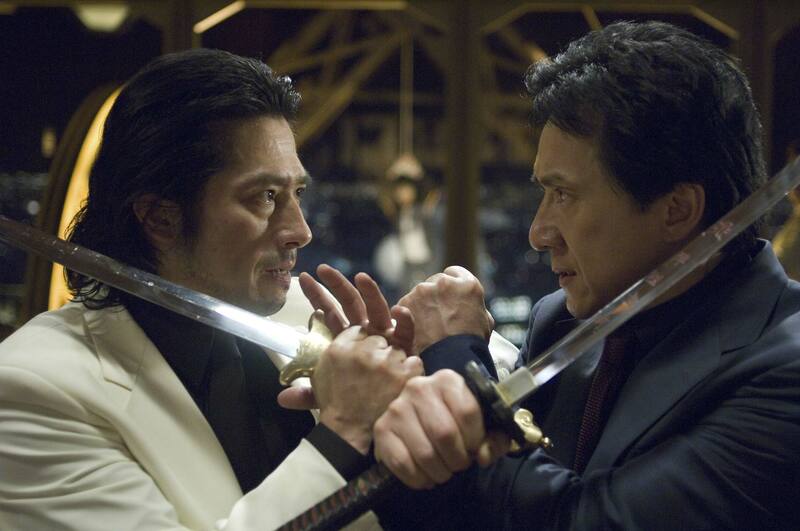 However, Jackie’s career in Hollywood really took off with “Rush Hour” (1998) and its two sequels, and he cites his costar, Chris Tucker, as one of his favorite fellow actors. Amusingly, Jackie didn’t like him at first when they met at the William Morris Agency fifteen years ago. “Why does he keep talking?” Jackie thought, but the two became fast friends. 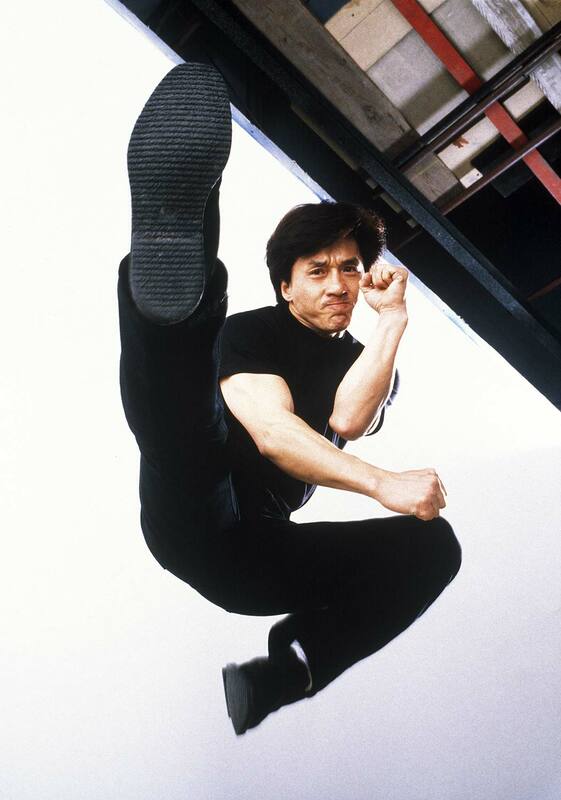 As for “Supercop,” Jackie revealed that with every big stunt he felt “really, really scared.” The film’s climactic helicopter jump is one of his most celebrated stunts, and he went into detail about the elaborate filming in which he found himself standing atop a building with only apple boxes below and a crowd of paparazzi assembled that made it feel like “a public execution.” How did he pull it off? Watch our video and find out! 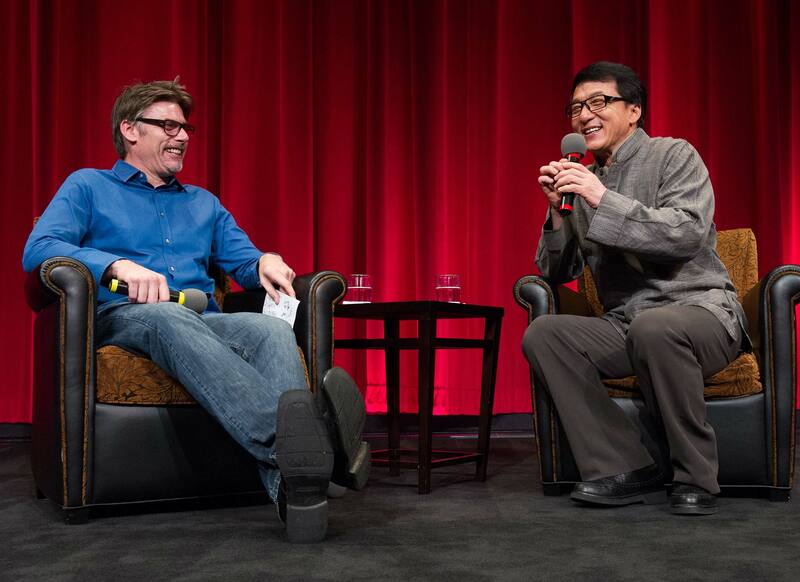 When asked about his influences, Jackie expressed admiration for directors like Steven Spielberg, George Lucas and James Cameron (with whom he shared a memorable visit on the set of “Avatar”), but thanks to their budgets and special effects expertise, “they’re just too good” for him to emulate. 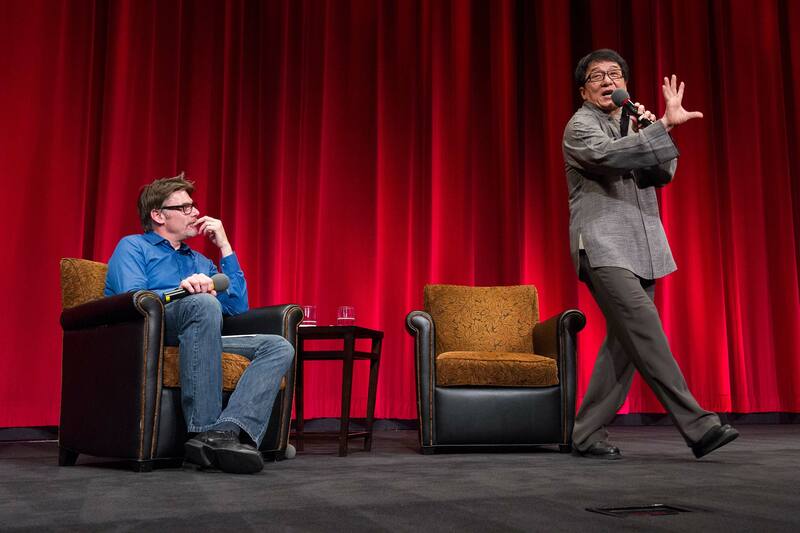 Instead he cited Buster Keaton and Harold Lloyd as his inspiration, mixing impressive physical skill with note-perfect comic timing. 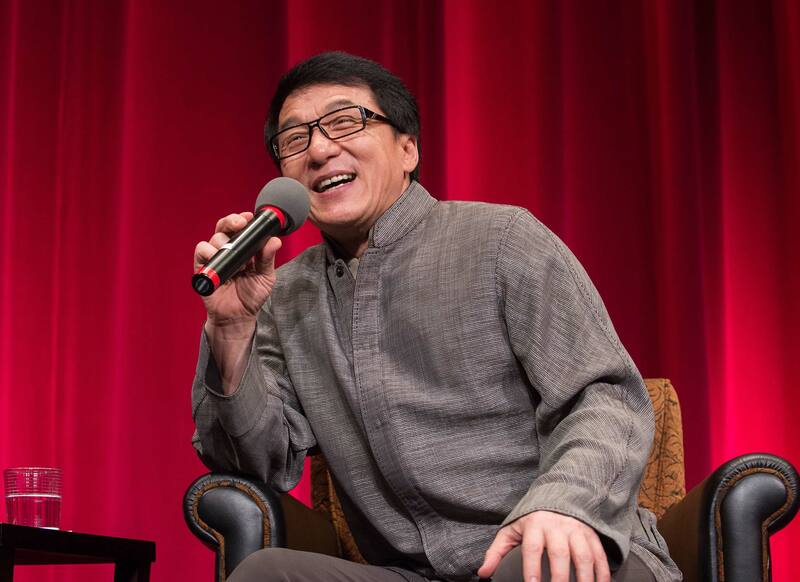 In fact, Jackie’s consistent use of comedy was inspired by his belief that “I like action but I don’t like violence.” As his fans will agree, no one working today can deliver a brilliant mixture of action and laughter like the one, the only Jackie Chan. 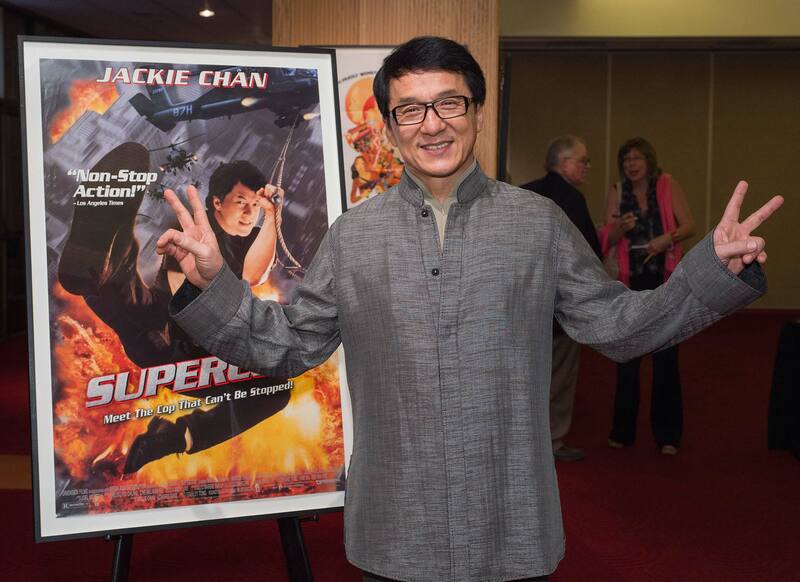 How Jackie Chan Made "Supercop"